RoneeDeep, Ammo Moses Unpredictable Love (FKA Mash Re-glitch mix). 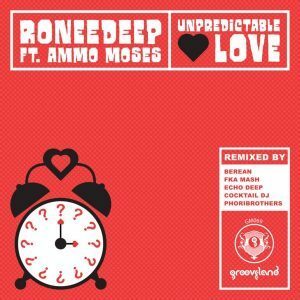 South African producer RoneeDeep signed to Grooveland Music dropped his Unpredictable Love EP featuring fellow musician Ammo Moses. This Deep house is a remix by FKA Mash.